Atlantis Travel may change this policy from time to time by updating this page. You should check this page from time to time to ensure that you are happy with any changes. 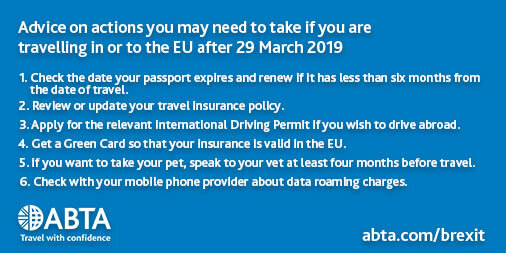 This policy is effective from 1 May 2018. Your data is obtained from our Atlantis Travel booking form and order processes. Your interactions with us. Information about your interactions or conversations with us and our staff, including when you make enquiries, comments, complaints or submit feedback to us (whether formally via email or simply verbally to our staff); If you contact us in order to obtain more information about our products or services we will collect information about you so that we can reply and fulfil your information request. We collect information about you to respond to your enquiry, process your travel reservations and to manage your account. We may, as a matter of law, and without requiring notice or consent, use your information for crime and fraud prevention, systems administration within Atlantis Travel of London LTD and to monitor and/or enforce our compliance with any regulatory rules and codes. We may share your information with suppliers, such as hotel, airline, car rental, and activity providers, to fulfill your travel reservations. Please note that these suppliers also may contact you directly as necessary to obtain additional information about you to facilitate your travel reservation. What we don’t do with your personal information. We only hold your personal information to process your enquiry, keep in touch with you and process your data when contracted by you to do so. We regularly review our personal and private data storage and use data minimization at all times to limit the data we hold. We keep data only as long as is necessary and in accordance with UK law. Your information may be transferred by Atlantis Travel of London Ltd to any country, including countries outside of the European Economic Area (EEA), for the necessity of fulfilling your travel arrangements, or for storage and administration of the data. The purposes and processing associated with any such transfer will comply with applicable data protection regulations. For establishing, exercising or defending legal claims; and for reasons of substantial public interest. If contractual basis - provide possible consequences of failing to provide the personal data. By “legitimate interests” we mean our interests in conducting and managing our business activities and to ensure that we are providing the best service and experience for you and our customers. Your rights including access to your information and correction. If you have given us your explicit consent to process your data you can withdraw this at any time, where relevant please contact us if you would like to do this. If you are unsatisfied with the way we have processed your data please do let us know immediately, we take your feedback seriously and will do everything we can to help.